Featured amenities include complimentary wired Internet access, dry cleaning/laundry services, and laundry facilities. A roundtrip airport shuttle is provided at no charge. A stay at The Hedistar Hotel Narita places you in the heart of Narita, within a 15-minute walk of Naritasan Shinshoji Temple and Boso no Mura Open Air Museum. 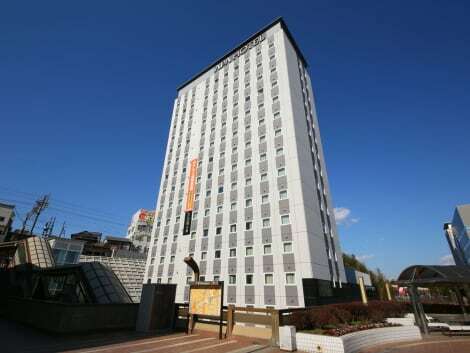 This hotel is 8.7 mi (13.9 km) from Shisui Premium Outlets and 0.1 mi (0.1 km) from National Museum of Japanese History. Make yourself at home in one of the 207 air-conditioned rooms featuring refrigerators and LCD televisions. Your bed comes with down comforters and Egyptian cotton sheets. Complimentary wired and wireless Internet access keeps you connected, and digital programming provides entertainment. Private bathrooms with shower/tub combinations feature rainfall showerheads and complimentary toiletries. Welcome to Crowne Plaza ANA Narita, where a warm welcome awaits you, 24 hours a day. 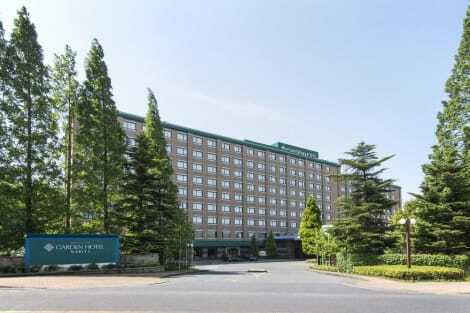 Ideally located just 10 minutes by complimentary shuttle bus from Tokyo's Narita International Airport, Crowne Plaza ANA Narita provides the perfect choice for your accommodation, close to the airport yet within a tranquil garden setting. During your stay, enjoy the many facilities we offer; energize in the fully equipped health club, take a few laps in the indoor swimming pool, indulge in an invigorating spa treatment or simply enjoy a traditional Japanese massage to combat any jet lag. 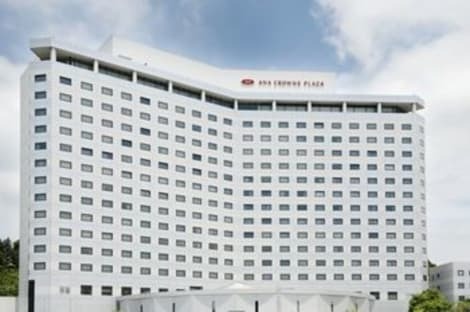 Exploring is easy from Crowne Plaza ANA Narita with our complimentary shuttle service to Narita Town, where the famous Narita-san Shinsoji Temple and colourful pagodas are located, with seamless connections via express rail services to the buzz and excitement of central Tokyo. At the end of your day, enjoy Japanese fusion cuisine at our Saifu Sky Restaurant, world famous Japanese steak in Narita Teppanyaki Restaurant, or a glass of wine or warm sake in our lounge bar, all located on the top floor of the hotel, offering breathtaking sunset views over Narita Airport and the Chiba Prefecture countryside. A sound night's sleep awaits you, with all guest rooms offering double glazed windows so you can see all the activity at Narita Airport, without the noise. Crowne Plaza`s Sleep Advantage program ensures you'll have a blissful night's sleep and wake refreshed the next day. Enjoy a meal at the restaurant, or stay in and take advantage of the hotel's room service (during limited hours). Wrap up your day with a drink at the bar/lounge. Buffet breakfasts are served on weekends from 6:30 AM to 10:00 AM for a fee. Welcome to the Hilton Tokyo Narita Airport Hotel, conveniently located only 10 minutes from Narita International Airport and one hour from downtown Tokyo. Situated on the eastern side of Tokyo Bay, this Narita, Japan hotel is ideally placed for Guests to explore the scenic Boso Peninsula. Admire the stunning sights and soak up a taste of Japanese culture. 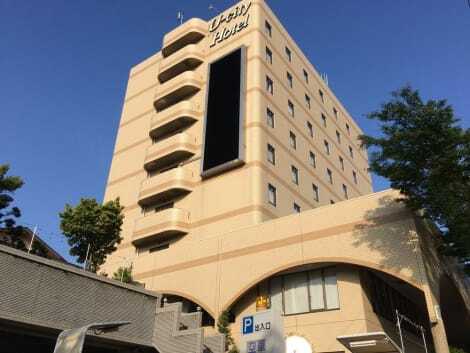 The excellent central location of the hotel also provides easy access to all the energy and excitement of downtown Tokyo.Retire to a spacious Guest room, deluxe room or suite, and enjoy excellent amenities including authentic Yukata - light Japanese gowns - and high-speed internet access. Upgrade to a deluxe room for extra space and panoramic countryside views. Host your next important meeting or special event at the hotel, with 18 flexible meeting and function rooms. The hotel can accommodate any function for up to 1,100 people, making this a perfect choice for meetings, conferences or romantic weddings.Unwind after a busy day or a long journey with a workout in the fitness center, a game of tennis or by simply taking a long soak in the indoor pool and whirlpool. Indulge in an exciting range of flavors and choose between three delightful restaurants. Experience authentic Sichuan dishes at Baien Chinese Restaurant, dine on freshly prepared sushi at Matsukaze Japanese Restaurant or enjoy delicious international cuisine at the Terrace Restaurant. Make yourself at home in one of the 463 air-conditioned rooms featuring refrigerators. Complimentary wired and wireless Internet access is available. Partially open bathrooms with shower/tub combinations feature hair dryers and slippers. Conveniences include phones, as well as desks and blackout drapes/curtains. lastminute.com has a fantastic range of hotels in Narita, with everything from cheap hotels to luxurious five star accommodation available. We like to live up to our last minute name so remember you can book any one of our excellent Narita hotels up until midnight and stay the same night.